“Forgotten Hollywood”- The 500 Club! It’s been a long time coming. Forgotten Hollywood Forgotten History has reached a confirmed 20% of inventory sold. While it’s true, we frankly reached this figure a while ago (due to sales at Costco, Borders, Barnes & Noble, Amazon, etc. ), I can’t claim purchases until the revenue actually reaches my doorstep. In other words, I only count dollars personally collected. Fittingly, the official 500th milestone came from an initial supporter of my work: The Paley Center for Media. Their gift shop let me know by mail in the form of a check. My paperback was their first foray into Hollywood cinema, since Paley has specialized in classic radio and TV. Let me personally thank Gary Browning and his staff for helping make my book a success. Browning had the vision and insight to see its possibilities. If you would like to visit this remarkable museum, their address is 465 N. Beverly Dr. in the heart of Beverly Hills. This modern venue is home to extraordinary footage and information from radio and television’s Golden Era. Once again, a big THANK YOU to the Paley Center for Media! “Forgotten Hollywood”- FOX 11 Celebrates Cinco De Mayo! For my Southern California friends: The FOX 11 MIDDAY SUNDAY program has invited me as a guest to join host Tony Valdez on their Cinco De Mayo television celebration! That’s this Sunday at 9a on Channel 11. Tony has asked me to talk about my new book Forgotten Hollywood Forgotten History. He will also pick my brain to discuss the importance of the Hispanic experience that developed in Hollywood’s Golden Age. I’m honored to represent La Raza, and have a substantive chat about how we have grown as an important culture in the entertainment industry. Valdez has received numerous Emmy, Golden Mike and Los Angeles Press Club awards for his work in broadcasting. He has been with FOX 11 since 1980. MIDDAY SUNDAY is a weekly public affairs program which spotlights local and national issues with current headline news and news makers. For my friends on the East Coast: Two new libraries are now carrying Forgotten Hollywood Forgotten History. The Suffolk County New York Public Libraries (out of Bellport) is my latest catch. It’s part of the Suffolk Cooperative Library System. The Brevard County Libraries in Central Florida is home to the Kennedy Space Center. The community is made up of an advanced science and highly technical labor force. Forgotten Hollywood Forgotten History has taken a journey to this educationally-minded community. (I wonder how I can get my paperback aboard the space shuttle…hmm). For my neighbors “across the pond” (and the worldwide web): I have a new link on my Navigation Bar (to the left). It’s called Hollywood’s Golden Age; a wonderful website created by Chris Whitely from Bournemouth, England. Good show my friend! A lot to prepare for this week: FOX 11, the LA Harbor International Film Festival, the William’s Book Store autograph party. WHEW! The oldest full-service independant bookstore in Southern California will be the site of my next book signing event! William’s Book Store celebrates 101 years in downtown San Pedro. Right after a FREE showing of this cinematic masterpiece, you’re invited to an autograph party at Williams Book Store, 443 W. 6th St. I will be signing my new paperback, Forgotten Hollywood Forgotten History. Several chapters in my book make mention of this fine film, and how it relates to American history. The autograph party will begin at approximately 2:30 and will include refreshments to the invitees and patrons. <— Anne Gusha and her son Jerry are the co-owners of this wonderful landmark bookstore (since the 1980’s). Anne first visited the store in 1928, and has been associated with them since 1941 (a remarkable relationship, for sure). Now 90 years young, she still can be found negotiating with today’s authors and publishers at the store. I hope you can attend this FREE midday screening of Captain’s Courageous at the Warner Grand, and the book signing at William’s Book Store. Saturday should be a fun-filled day for the entire family. The 7th annual LA Harbor International Film Festival (LAHIFF) will be showing the Rudyard Kipling classic – Captain’s Courageous – twice next weekend at the Warner Grand Theatre, located at 478 W. 6th St. in San Pedro. Thursday’s 10am airing of this timeless motion picture is for school children. Saturday’s screening at noon will be open to the public. The movie stars Spencer Tracy, Freddie Bartholomew, Mickey Rooney, Melvyn Douglas, and two actors featured in Forgotten Hollywood Forgotten History: Lionel Barrymore and John Carradine. I will be there at two FREE screenings to talk about the motion picture, and the actors in my paperback. I will also be signing my book as part of the festivities at the Warner Grand, and at William’s Book Store, 443 W. 6th St, San Pedro, at a time (to be determined) during the Festival. The LA Harbor International Film Festival is a four-day event from April 29th-May 2nd, and will include appearances by Golden Globe winner Nancy Kwan and James Shigeta at the evening Hollywood Nostalgia Tribute & Gala on May 1st, which will include the red carpet-style gala, and an airing of the Oscar-nominated musical Flower Drum Song. Also appearing at the Festival will be Producer Marsha Hunt, with a rare airing of her television production of A Call From The Stars. This special documentary features Paul Newman, David Niven, Bing Crosby, Steve Allen, Joanne Woodward, Jean Simmons, and Spring Byington. The special aired in 1960 on KCOP in observance of United Nations World Refugee Day. Ms. Hunt will also be there to autograph her book: The Way We Wore: Styles of the 1930s and 1940s, And Our World Since Then (after the program). Hunt was up for the role of Melanie in Gone With The Wind; a part eventually going to Olivia de Havilland. More to come about next week’s fabulous 7th annual LA Harbor International Film Festival (April 29th-May 2nd) !! With the start of the Turner Classic Movies – 2010 Film Festival, I know classic film buffs are looking forward to four glorious days of restored motion pictures, appearances by screen legends, and a conglomeration of fans in one locale. To honor this moment in Hollywood history, I’d like to offer a small token of my appreciation. Thanks to my good friend, Gary Lycan of the Orange County Register, we have been made aware of a six-minute portion of a lost TV program that ties Forgotten Hollywood with Forgotten History. Writer Wayne Federman unearthed this piece of cinema celluloid, while compiling artifacts for the Ronald Reagan Library Centennial Celebration of the former President’s movie and television career. It’s a rare kinescope from the anthology drama series General Electric Theater. The segment is called The Dark Dark Hours, and featured Reagan, and an up-and-coming actor – James Dean! It aired on December 12, 1954 as a live-television feature, and prior to the release of Dean’s wildly popular motion pictures. Dean would die in a car-crash less than a year later on September 30, 1955. Here is the link to the clip…please enjoy! Wayne Federman is a writer for Jimmy Fallon’s Late Night program. Information and the clip link derived in this blog piece came from John Maroney from The Atlantic (on-line magazine). Edward James Olmos, actor and community activist, is Co-Producer of the Latino Book & Family Festival, a weekend event promoting literacy, culture, and education in a fun environment for the whole family. The festival is held in key Hispanic markets across the country. Today, the Festival is hosted in several major Latino markets across the U.S. including Houston, Dallas, Chicago and L.A. Future expansion plans will take the Festival to New York City, Miami, the San Francisco Bay Area and many other major Latino markets. “Forgotten Hollywood”- Mount Vernon to Mount Prospect! The Mount Prospect Public Library is a mid-size, independent public library, located in the Village of Mount Prospect, Illinois, located about 20 miles northwest of Chicago. Currently over 61,000 patrons are registered cardholders. The collection has approximately 497,000 items on file, with an annual circulation figure of over 1 million. I really had a pleasant time at Chevalier’s Books on Sunday. Not only did co-owner Sue Otto and her staff set up everything so nicely for my wife Laurie and me, but I was surprised by several visitors including my brother-in-law Mark Thomas, a long-time radio pal Mike Daniels, a listener-friend to KRLA (where I worked for 18 years) Cathy Burrola, and really long-time high school buddy Joe Finci. I really appreciate the effort made by these thoughtful folks! The day was capped off by a patron to the bookstore, there to purchase a present for her cousin. She was British, and let me know she was a relative of Gerry Marsden, vocalist and former leader of the 1960’s pop group GERRY AND THE PACEMAKERS. “Forgotten Hollywood” – Grace Kelly London Gowns Display! Dresses that Grace Kelly wore in screen classics such as High Society and Rear Window are now showcased at a museum in London as part of a new exhibit. Grace Kelly: Style Icon at the Victoria and Albert Museum will display the wonderfully stylish wardrobe of the Oscar winning actress-turned-princess. Exhibits include the gown Kelly wore to accept her Academy Award in 1955, as well as, the outfit she draped to her first meeting with Prince Rainier III of Monaco (her future husband) later that year. The museum exhibition opened this past weekend, and highlights Kelly’s enduring appeal. The show will trace the timeline to include her style as Princess Grace of Monaco, with haute couture gowns by Dior, Givenchy, and Yves St Laurent. Kelly died in 1982 in a car crash. She was only 52. Forgotten Hollywood Forgotten History salutes the iconic: Grace Kelly! I’m quite pleased I’ll be spending Sunday afternoon at this treasured site, with it’s unique storefront and veteran staff. Of course, I’ll be autographing Forgotten Hollywood Forgotten History from 1p-3p. Forgotten Hollywood Forgotten History will also get you in the mood for the upcoming Turner Classic Movie Film Festival the following weekend. Evergreen is a growing network of public, school, and institutional libraries located throughout Indiana. As of April 2010, 62 member libraries serve over 643,485 Indiana residents. “Forgotten Hollywood”- Great Sales at Tower.com & Borders! Let me say… I had a great time at Costco / Burbank on Sunday. A woman who works at one of the movie studios in the area was kind enough to share that my book is getting into conversations among filmmakers in the industry. She then asked me to sign a copy of my work, which I gladly did. I also want to thank Gary Zive, a classmate and friend from Van Nuys High, for hanging out with my parents and me. We shared jovial fun all afternoon. The paperback is also still doing well at Southern California Borders stores (#7 in Local Interest). To visit these websites, feel free to go to the Book Purchase Locations on the Navigation Bar to the left and click on their links. The information at these sites speak for themselves! As coroner, I must aver I thoroughly examined her And she’s not only merely dead She’s really, most sincerely dead! Raabe later gained noteriety as he became a spokesperson for Oscar Meyer, as Little Oscar, World’s Smallest Chef. He traveled the countryside in the first Weinermobile for decades. Throughout his later life, he attended Wizard Of Oz conventions and celebrations that annually took place all over the country. The Munchkin actors were honored in 2007 with a star on Hollywood’s Walk of Fame. Seven surviving actors attended the event including Raabe. In 2008, he was honored by the International Wizard of Oz Club with the L. Frank Baum Memorial Award. Raabe also published his autobiography entitled – Memories of a Munchkin: An Illustrated Walk Down the Yellow Brick Road. Meinhardt Raabe was living in a retirement community in Florida when he suffered a fatal heart attack. He was 94. “Forgotten Hollywood”- Experience in HOLLYWOODLAND! Forgotten Hollywood Forgotten History is now available at HOLLYWOODLAND EXPERIENCE!! It’s a souvenir store at 6904 Hollywood Blvd., across the street from Mann’s Chinese Theatre (formerly Grauman’s), and close to the legendary El Capitan Theatre. This store is everything “Tinseltown”, right in the heart of tourist row, and area of the upcoming Turner Classic Movies Film Festival (later this month). Many thousands of folks flock to the site each week to feel the magic of our past and present that is Hollywood. Again, many thanks to Gary Lycan of the Orange County Register for helping me find this perfect locale. Back in December, he joined me in a jaunt. When we finally ventured to HOLLYWOODLAND EXPERIENCE, Gary commented “THIS is the place where my book belongs.” Great insight on his part… Just like a plot line from a classic motion picture; only it all really happened! The HOLLYWOODLAND EXPERIENCE drips with history, despite the fact this particular venue location just recently opened. My paperback has surely found a wonderful home! The Orange County Screenwriters Association has invited me to open prior to a specal afternoon with acclaimed screenwriter J. Michael Straczynski on Saturday, May 22nd for a discussion on “Hollywood – Past and Present.” The event is free to attend, and this is a must for aspiring writers of books and lovers of classic cinema. Joining me on stage (prior to Straczynski’s appearance) will be my friend, OC Register radio columnist Gary Lycan. Straczynski has written for film and television, and his credits include Changeling, which was directed by Clint Eastwood. Angelina Jolie was nominated for an Oscar (Best Actress) in 2008 for her starring role in the film. The writer was nominated for a BAFTA for his work. Babylon 5 is the screenwriter’s most noted television production. The show has won several awards including two Emmys. He’s also written episodes for Murder, She Wrote, Jake and the Fatman, and Walker, Texas Ranger. His journalism credentials are well known nationally, with articles in People Magazine and The Los Angeles Times. 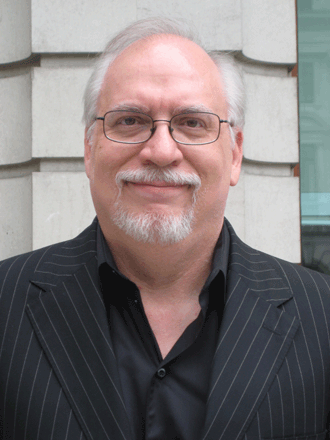 Straczynski has also dabbled as a TV producer and playwright. In 2008, Daily Variety named Straczynski as one of the “Top 10 Screenwriters to Watch.” He currently has five films in production including Lensman for Academy Award-winning director Ron Howard. This event will be held at the Regency South Coast Village Theater, 1561 W. Sunflower Ave. in Santa Ana at 10am. The event will include a Q&A and booksigning. What a unique opportunity for me to begin the conversation prior to such a well-respected member of the Hollywood community!